Patented cartridge interconnect system allows for quick and easy cartridge change-outs. 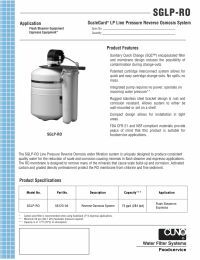 Integrated permeate pump requires no power and operates on incoming water pressure. 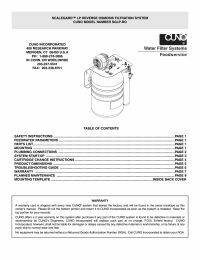 System contains integrated pre-filtration for the reduction of sediment and chlorine taste and odor. Rugged stainless steel bracket design is rust and corrosion resistant. Allows system to either be wall mounted or set on a shelf. Compact design allows for installation in tight areas.